The Red Solstice is one of the few games this year where co-op is the core element instead of an afterthought. After a successful Kickstarter, Croatia’s Ironward have built a Frankenstein monster, drawing influence from many different places. Blending the gameplay elements of a tactical strategy game with the atmosphere of a survival horror it becomes something unique. Let’s take apart this monster piece by piece and find out what each part brings to the table. The Head - The Red Solstice makes you think. 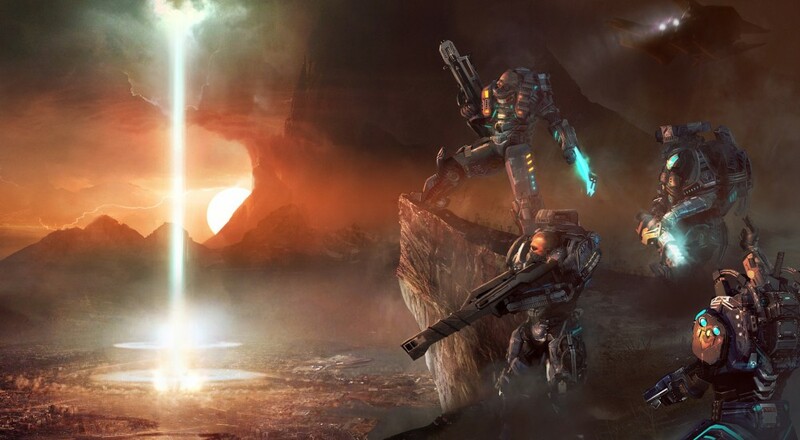 The Red Solstice is first and foremost a squad based real time strategy game. It draws inspiration from a handful of genres but manages to carve out its own identity to stand out amongst its predecessors. There is a clever balance of tactics, strategy, rpg, horror, and survival which all come together for not unique, but interesting gameplay. It is up to you as the commander to tactfully handle up to four marines with a cavalcade of weaponry and multiple abilities at your disposal. Know your strengths and weaknesses, when to fight and when to fall back. The Red Solstice is not an action game, and rash decisions are punished. The game takes place on Mars, where a squad of marines have been tasked with a rescue mission on Tharsis colony. Once they touch down on the surface, they soon realize the situation is more dire than expected. Mars has been overrun with mutants and it is up to the player to command the squad and carry out this dangerous mission. It sounds cliche, but it sets the tone for The Red Solstice. It is important to know going in that The Red Solstice is difficult. This isn’t an unfair Souls-ian type of difficulty, but one where the player doesn’t have the capabilities or knowledge to deal with the situation properly. The player is meant to fail, learning something in the process and perhaps gaining an ability to help them play more efficiently. New players will improvise to what the game throws at them, where experience will help them think in advance. Each situation in The Red Solstice is different and the game urges you to grow along with it. Arms - What does all the heavy lifting? The single player campaign guides you through the fundamentals of The Red Solstice. Through the 10 missions enough knowledge is gained to at least be competent in the multiplayer portion of the game. The drastic difference is the ability to slow down the game using Tactical Mode, which causes everything to move 90% slower. Tactical Mode allows the player to made a bunch of decisions in a short amount of time, without having to do anything insanely quickly. It isn’t a full pause like we would see in an Infinity Engine game, so some competency is required lest your squad become overrun by the mutant horde. The Red Solstice runs amazingly well, and the team at Ironward has refined the playability over the year of early access. The UI is quite important, as the player must manage six slots of inventory, two separate weapons, as well as half a dozen skills. Having this many active abilities for a single character can be overwhelming, but the slick UI makes everything manageable without taking over too much of the screen. It is small touches like these which make for a great experience, even when under pressure the game presents while playing. Chutzpah - How do you even sit down while playing? Mars is a dangerous place. Even though futuristic marines are outfitted with some pretty badass technology, they will fall in battle many times. This is the reality of The Red Solstice. The frustration that comes with failure will turn many people off of the game, but a death in games such as these are the stepping stones to success. Once a player realizes that death is inevitable, the light bulb goes on and it becomes a much more pleasurable experience. All is not lost even in death, since experience is still applied to your character after a match. With experience comes additional classes, weapons, and skills so every time you play your character is growing. This carrot on the stick lessens the blow of defeat, and entices the player to continue. The survival elements going on in The Red Solstice bring tension to the game, setting it apart from other tactical strategy games. While simply dealing with the enemies being the main threat is stressful enough, there is also a time limit to every map; thematically the game reaches a point where the mutants simply overrun the squad after 20-40 minutes depending on the difficulty setting. Compound a ticking clock, grotesque hordes of enemies, and a wonderfully crafted horror atmosphere and The Red Solstice becomes a harrowing experience that will get the adrenaline flowing.